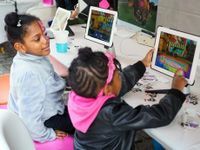 At their best, digital games bring children into a world of situations to which they can relate and allow them to address circumstances and challenges that call upon their social-emotional skills to resolve successfully. To do so effectively, these games need to have a developmentaly sequenced content structure and need to provide narrated and animated guidance, supportive and easy ways to get help or get out of a situation that may be too challenging, assessment of progress, and systems of progress recognition, feedback, and reinforcement given to the child. This has to be done feasibly -- without requiring high levels of training or expertise on the part of adults who will administer it -- and in ways children will enjoy. Every sound game must draw upon a sound theory (or theories) related to social-emotional assessment and skill building, and ultimately, provide evidence of its effectiveness. Games vary with regard to their target audience. Some are designed for a narrow age range; some focus on problems across ages with coordinated versions for both children and adolescents. We will take a look at an example of each. Zoo U starts with an assessment, asking kids ages five to 12 to play a series of six short scenes to assess six SEL areas linked to CASEL's five skills. The premise of Zoo U is that kids have enrolled in a school-like setting where they are learning to be zookeepers. This makes it natural for them to encounter situations like those they would experience in school, with animals around and involved to provide extra interest and fun. The skills are communication, cooperation, emotion regulation, empathy, impulse control, and social initiation. Bullies in the hallway are trying to force the child to pay a toll before allowing him to go to his class. The child can choose to be passive (P), aggressive (AG), or assertive (AS) in interactions with the bullies. The child needs to figure out how to catch the parrot flying around the classroom. In order to be successful, the child must work cooperatively with another character. Teachers get a detailed analysis of kids' strengths, which has been validated against other assessments. Scoring is based on an algorithm that incorporates not only the obvious answers but also unobtrusive measures, such as: amount of time before a specific action is taken, percent of time spent in a particular activity, order of actions during problem solving, and number of clues or prompts by the system needed to solve the problem. The latter are particularly appealing aspects of digital assessments. The formative assessment report also guides providers to specific in-person lessons and activities -- from Zoo U's activity center -- that they can use to support the child in areas of identified difficulty. Following the assessment, Zoo U provides sequenced, personalized learning in the form of 30 15-minute game play scenes -- five for each of the six skills -- to improve the skills students are lacking, all with minimal teacher direction. Ripple Effects accomplishes something similar for middle and high school students with a highly differentiated, personalization capacity. It includes over 400 tutorials, each a robust multimedia app, that seek to reduce risk factors and build student strengths as they privately explore situations of their choosing -- ranging from violence and bullying to truancy to academic difficulties to trauma. They build SEL skills in the process. Educators can track student progress and block access to topics they feel are not appropriate. Topics are covered with multiple learning modalities, including games, first person and animated videos, simulations, self-assessments, and writing exercises. What most distinguishes Ripple Effects is its use of a sophisticated expert system that is continuously triggered by cues from each learner to deliver an optimally tailored experience. Students can be directed to use the program by their own choice, in the classroom as a result of a situation needing problem solving, as a tier 2 intervention linked to the discipline system of a school, or as part of a tier 3 treatment plan. Ripple Effects has been subjected to rigorous and extensive research. Its developers have just created a new iPad-based application for young children called Bouncy The People Trainer, featuring a service dog who has overcome many challenges and now helps children build resilience, self-worth, and social skills. The developers of Zoo U and Ripple Effects are interested in continuous improvement and the best possible integration of technology, theory, research, entertainment, and fun. An effective educational game sits at the nexus of all of these, using digital capabilities to expand student access, make educator time more efficient, and allow for optimal personalization. At this point, these and related games, such as Social Express, are excellent complements to existing evidence-based, social-emotional and character development programs. The next step will involve their more systematic integration. Please share your experiences in the comments section below with digital games to assess or teach SEL and related skills.